Denver Home Cleaning Done Right. Every Time. The higher the altitude you summit, the thinner the air becomes. If your house is situated in higher altitude, then it's especially important to keep your home and surroundings well swept, dusted, cleaned, and disinfected so you reduce the allergens and bacteria that can compromise your lungs and breathing more quickly and drastically in the thinner air. There are also seasonally high pollen counts, and smoke from forest fires that can flare up allergies, and cause respiratory health problems if left to linger inside your home. The vast temperature fluctuations and longer, more frigid cold and flu seasons in mountain climates make it particularly important to keep germs and illness as far away from your household as possible. Keeping your house clean and disinfected (and stocked with hand sanitizer) will help keep germs and sickness at bay, and keep you and your family stronger and healthier in the cold and flu season. The mountains are home to some beautiful and exquisite wildlife, but the same pests, insects and critters also live there, and the temptation for them to venture inside your home is much stronger if it's unkempt. Keeping your home clean, tidy and free of food crumbs, dirty dishes stacked in the sink, full trash cans, or stacks of paper or boxes that typically lure in bugs and other pests will reduce the temptations, and keep all the wonders of nature at your doorstep, but not inside it. Your home is the place where you live, store your valuables, relax, make memories, and so much more. So we know it can be intimidating to invite people over the threshold of such an important place in your life, and trust them to respect you and your home... and your mess. We know life is messy, and we don't judge yours. Maid Complete takes every step possible to go above and beyond for you personally, and professionally. You can teach someone how to clean, but we look for more than that when we select the special people worthy of our cleaning missions. Every person who joins us must meet our standards of excellence in respect, trustworthiness, and reliability. You can always count on your maid to show up on time, do a stellar job, and respect you and your home to the absolute utmost. Our maids strive to be extremely careful, but in the case an unlikely accident were to occur, we have our maids licensed and insured so you are protected. Whether you have babies, fur babies, or just prefer organic cleaning solutions, we have it all covered. Our maids show up with a full supply of any cleaning materials they will need, and everything we use in your home will be safe for you and those you love. We don't just want you to be satisfied with a clean home, we want you to be delighted with our service from start to finish. When you set up an appointment, we will listen to what you need, and make sure that all the things you expect are clearly outlined and communicated to our maids so they can meet, and hopefully exceed your clean home wishes. Our maids are ready to serve you no matter where you need us to be, or wherever your life requires some cleaning. You can depend on Maid Complete to deliver the same great cleaning services whether you need it in your home or offices. We have solutions for residential and commercial cleaning, and will work with you to set the best plan and rates for both, every time. So call us or chat with a helpful representative now to get started! Moving can be an exciting time in life, but it can also be stressful with the very long lists of things you need to get done in order to move in or out of a house. And at either end of that list, you'll always find cleaning. Let Maid Complete take over that item from your list during the busy and hectic time that moving ushers in, so you can enjoy your new home or be excited as you embark on your new adventure. Are you having a family reunion, throwing a party, or having a special event at work? We can help with cleaning up before or after (or both!) and save you the time and effort of trying to do this on top of all your planning and hard work to host the perfect shin dig. If your event is special to you, then we'll treat it as if it were our own. You can start your event with a wonderful clean space to impress and host your friends and family, and then end with a peaceful, serenely cleaned area after the party has ended and the guests have gone home. You just have to worry about enjoying the time in between. Love us? Give us as a Gift! Giving a friend or loved one the gift of a clean home is a great way to bring them joy, reduce their stress, and give them some time to spend doing things in life they enjoy most without the worry of house cleaning. Contact us today to purchase a cleaning session for a friend, and we'll set up a time with them that is convenient, and delight them by delivering your thoughtful gift of a clean home. If you are someone who occasionally puts off housework because you think it's just going to get messed up again, it is understandable reasoning. Many people feel the same way; they spend hours cleaning, only to have their hard work ruined. 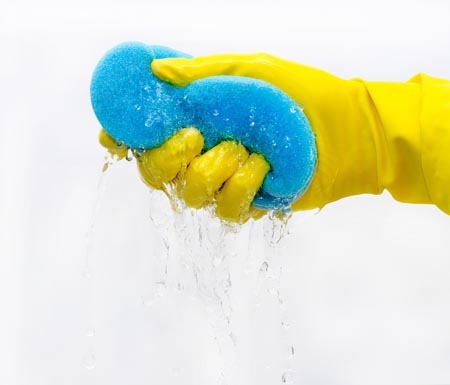 Unfortunately, a dirty house is not only frustrating, but may be bad for your health as well. The good news is, there are professional services that will do your house cleaning for you, which will allow you more free time to relax and enjoy a clean, fresh home. The other good news is when you hire maid services, your home will get the deep cleaning it needs for your health. Here are six health benefits of hiring a professional cleaning service for your home. Regular cleaning is one of the most effective ways to reduce dust and other allergens from your home. Chores, such as dusting, sweeping, mopping and vacuuming will dispose of dust mites, dust, pet dander and a wide range of other allergens that induce allergy symptoms, colds and flu-like symptoms. Those who suffer with asthma, allergies and/or respiratory problems will notice a relief in their symptoms and have an easier time breathing when their house is clean. Each time your home is cleaned, it kills the viruses, bacteria and other harmful micro-organisms that can pose a serious risk to your health. The cleaning agents used will help kill germs and bacteria, such as salmonella, staph, E-coli and other food born infections and illnesses. Other surfaces that are sanitized, such as countertops in the bathroom will also help protect you from potentially dangerous bacteria. One of the most important things you can do to prevent the growth of mold is to thoroughly clean areas that are prone to mold and mildew, such as bathroom fixtures, tile floors and other water prone areas. Cleaning services are excellent resources for ultimately preventing the risk of mold and mildew. A professionally cleaned and organized living space can help to reduce the risk of injury by minimizing the clutter and keeping items out of harm's way. When loose items, such as toys, are left lying around it increases the risk of someone tripping and falling. There is also a high risk of injury when items, such as clothing, stacks of boxes and papers are in the path of walking. Maid Complete will make sure your house is clean and organized, and improve the overall safety of your home. Bugs and other household pests typically like environments that are warm, damp and/or have food spills to feed on. Regular cleaning will help to prevent the risk of unwanted pests as well as discover them and treat for them quickly. Although routine exterminations are recommended to completely get rid of and prevent unwanted pests, simple chores, such as sweeping, mopping, taking out the garbage and vacuuming will keep bugs from making your home, their own. Some common health issues stem from stress. A professionally cleaned living area will make it easier to find things and prevent the unnecessary worry of finding time to keep house. Even routine chores, such as doing the dishes, making the bed and sweeping will seem much less stressful when your house is clean to start with. Let's face it, there is nothing better than coming home to a clean and organized home. Having a professional house cleaning service do the housework for you will also be beneficial for your overall health, because you will have more time to spend outside in the fresh air, getting exercise or simply doing the activities you enjoy doing. You will have more time to relax, enjoy family time together or simply sit back and enjoy looking at a fresh and clean home. Booking online was super easy when I needed someone to clean my apartment before I moved in. They did a great job with no issues. I have a very busy professional life and my condo needs to be swept and mopped almost every other week. A quick call and the cleaners show up when I need them to and get everything in order. After a recent surgery I needed a cleaning company to help me with my house. They do it better than me and their prices are reasonable. They've sent the same cleaning team every time who do a great job.